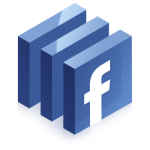 Update Facebook Settings to Disable Location Tracking | Jason Owens | Learn. Teach. Grow. Facebook recently implemented a new feature, called Places, that allows you to post your physical location, much the same way that other applications like Foursquare, Gowalla, and others do. The Facebook feature also allows others to check you in at location, enabling people to post where you are and where they saw you. This feature is enabled by default. If you turn off this feature for yourself, it can still be possible for other people to post your location on your behalf. Granted, there’s nothing preventing someone from posting a status update saying they saw you somewhere, but if you want to disable the ability to be tracked with Facebook’s new location services, read on. Facebook also has a Places FAQ page that provides more information on this new feature.